The property was very clean, just 3 log cabins in a row quiet fairly rural area but close enough to be used as a central base for exploring the region. Great communication from the owners pre visit. Some lovely touches like a courtesy wheelbarrow to move your luggage to the cabin from the car park. It isn’t far, probably around 100m to our cabin called Snowdrop but it did save a second trip! As we stayed around Easter each cabin had an Easter wreath and bunny on the verander, also colouring books and pencils for the children. Would stay again and recommend to friends. Lovely lodge with beautiful surroundings and great for the children to play outside safely. Lovely little lodge close by to Longleat which is why we traveled down but it’s also close to Stonehenge which we didn’t realise otherwise we would have booked longer. Hopefully back in August for a week this time. The lodge was immaculately clean and very child friendly. It has lovely views, surrounding areas and easy access to Longleat which was the reason for our visit. I spoke to Tina a few times before the trip and she was very lovely and answered all my questions in a very timely manner. Would liked to have met her face to face, but the whole idea is that this is a home from home and the hosts are always on hand should they be needed. The lodge was lovely , immaculately clean with all the facilities you would require and more. very quiet and peaceful. The bads were really comfy. the lodge was really cosy and clean as well as really well equipped. Spotlessly clean, warm and cosy, amazing comfy beds and pillows. Well equipped kitchen with cleaning products and tea/coffee. Christmas tree was a lovely touch. Stones throw from longleat safari parl which we thoroughly enjoyed. Three families staying together in these lodges would have a fabulous time! Beautiful lodge , great loaction , immaculate . Friendly owners . It was amazing , will be coming back . Very clean, cozy and comfortable. Very comfy bed and the Christmas Tree was a lovely touch. Everything we needed for an enjoyable short break and close to Longleat. Would definitely recommend and have already to friends. Lock in a great price for Hollybush Barn - rated 9.6 by recent guests. One of our bestsellers in Leigh upon Mendip! Hollybush Barn is situated in the small village of Leigh-on-Mendip on the Mendip Hills, an Area of Outstanding Natural Beauty. Free Wi-Fi is available. 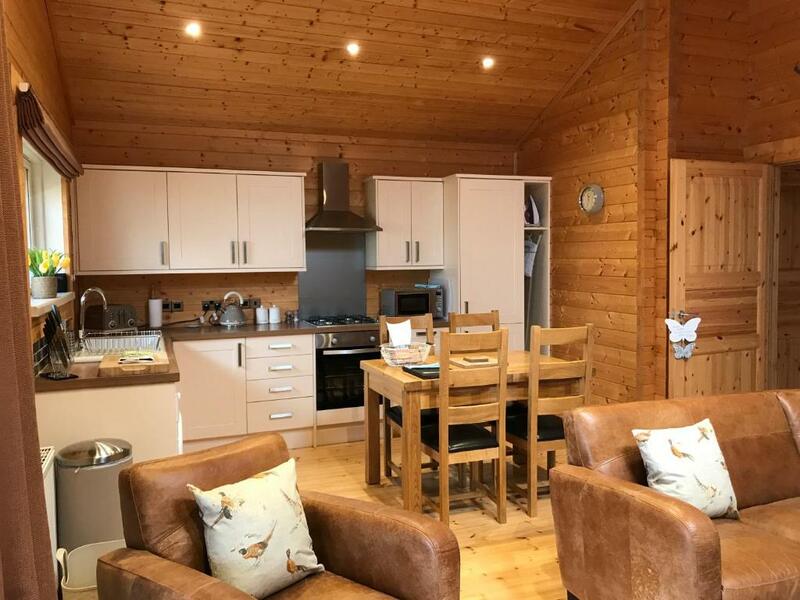 The traditional two-bedroom wooden lodges have a bathroom, spacious lounge area with a Flat Screen TV, and fully fitted kitchen with an electric oven, gas hob, fridge/freezer, microwave, toaster, kettle and washing machine. 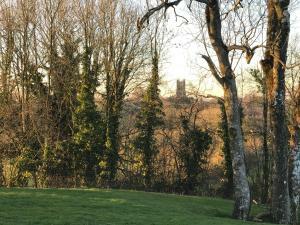 The property is surrounded by picturesque gardens and open fields, yet still within a 45-minute drive of Bristol city centre and Airport. The UNESCO World Heritage Site of Bath city centre can be reached in 30 minutes by car and features the historic site of The Roman Baths and beautiful architecture. This property also has one of the best-rated locations in Leigh upon Mendip! Guests are happier about it compared to other properties in the area. This property is also rated for the best value in Leigh upon Mendip! Guests are getting more for their money when compared to other properties in this city. Hollybush Barn has been welcoming Booking.com guests since 19 Feb 2013. When would you like to stay at Hollybush Barn? This holiday home features a toaster, washing machine and kitchenware. Fancy escaping to an idyllic countryside retreat in Somerset? Nestled in the heart of the Mendip Hills, an area of outstanding natural beauty, you’ll find Hollybush Lodges. Three beautiful wooden lodges situated on the edge of the small rural village of Leigh on Mendip, tastefully furnished and very comfortable. Come and enjoy the tranquil setting, country views and varied wildlife. Listen to the church bells ring, the vibrant chatter of birds busily nesting in the hedgerows, maybe even hear the owl hooting his goodnights... All of our lodges are of a high standard, light and airy with a spacious open plan kitchen / lounge area, are well equipped and sleep 4 people. Travel cots and high chairs are provided should you wish to bring along a baby or toddler under 2 years old. 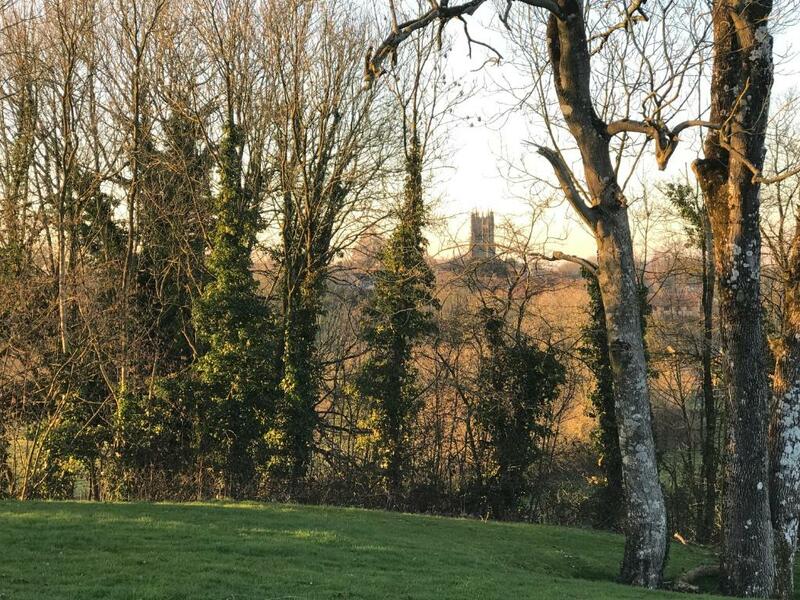 Our lodges sit in a pleasant lawned area, wooden picnic tables and benches allow you to soak up the great outdoors and eat al fresco in the Somerset sunshine. Bird song is plentiful as is wildlife like pheasants, rabbits and deer. Hollybush Lodges are a perfect retreat for self catering holidays – just check-in and we will leave you to your own devises to relax, recharge and enjoy your stay! A very warm welcome from us all at Hollybush Lodges! We are a family run business and are delighted that you will be coming to join us for a rural getaway. Look forward to having you stay. We are well placed to enjoy many of the West Country’s delights which include the award-winning market towns of both Frome and Wells, the world heritage city of Bath, the mystical Tor and fantastic music festival that is Glastonbury, close to the Somerset Levels too (which offer both willow / wetland visitor centres, fantastic bird watching and murmurations), near to Longleat Safari Park and it's exceptional house and grounds, The Bath and West Showground with it's many events and lots more besides… plenty to see and do and all within easy reach of our lodges. Gastro pubs are not in short supply either such as The Talbot at Mells, Archangel in Frome and The Mendip Inn near Oakhill. If you prefer a taste of village life, then the quaint local village pub is just a few minutes walk from your lodge, should you not wish to venture any further for a taste of crisp sweet Somerset Cider…! Step out of your lodge and enjoy country walks or rambles, riding stables are within easy walking distance, Vobster Diving Centre just a 5 minute drive away, a village park nearby for little ones to run and have fun in. Babington House (teamed with Soho House, London) is just 5 mins drive. House rules Hollybush Barn takes special requests - add in the next step! Hollybush Barn accepts these cards and reserves the right to temporarily hold an amount prior to arrival. Please note that guests must depart by 10:30 for cleaning crew purposes. Please note that the property will require your Zip/Postal Code to take payment. Please inform Hollybush Barn in advance of your expected arrival time. You can use the Special Requests box when booking, or contact the property directly with the contact details provided in your confirmation. The property didn’t have any WiFi, which isn’t a major issue for us but the owners made you aware of the fact they are working on this. Also the property could probably benefit from a DVD player as would have been nice to have chilled and watched a movie in the evening. Or Netflix of course if the WiFi was up to it. The first night was quite cold and the heating didn’t come on. By the time we noticed that the thermostat needed turning up it was time for bed. But the following day it was perfectly warm and comfortable. The hosts made us feel very welcome and we loved the little touches such as the bird watching book with binoculars, childrens reading books and crayons with colouring sheets. Best of all they had put happy birthday banners up for our daughter’s birthday! The cabin was lovely and had everything we needed, including a highchair. Beds and pillows were nice and comfortable. It was nice to have wi-fi too even though the phone signal was good, which we didn’t expect. We had a great stay and will definitely be coming back again! Would of been nice to have a TV in the bedrooms, would be amazing if they had a 3 bedroom lodge. After our initial check-in, we didn’t see our host again. A welcome pack would therefore have been really useful with information about nearby attractions, pubs, shops (with opening times etc. ), particularly as there was no WiFi in the end cabin. Watch out for scolding hot towel rail which is very close to toilet and could give you a burn. The kitchen area was bare. Insufficient plates, cutlery, no oven gloves, no teapot, cafetière or a tea strainer. Dishwasher is a must have.